As skiers working to engineer the best product possible, we’re always looking to incorporate improvements into our equipment. 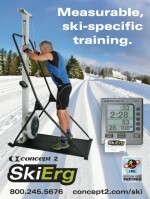 Based on our own experiences and feedback from athletes, we’re proud to introduce a second generation SkiErg. 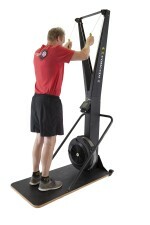 Both the original and new SkiErg provide you with a great workout; our new SkiErg is easier to maintain and provides more workout options. Over the past month, skiers and biathletes around the world have been getting back to training. For many of those at the upper levels, this means a round of testing. 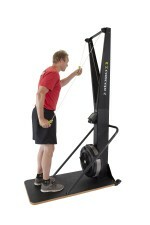 It might be VOmax testing on a treadmill or SkiErg, strength testing of various sorts, uphill runs, double pole rollerski time trials—there’s a wide variety, but the important point is that it makes good sense to test at the beginning of the training year so that you have a baseline from which to measure your progress. Concept2 is proud to be a Bronze sponsor of Fast and Female, an organization founded in 2005 by Olympic gold medalist Chandra Crawford and members of the Canadian National Cross-Country Ski team.